Ummm, interesting. I wonder if he’s getting a lot of business. I LOVE this sign! Where did you see this? 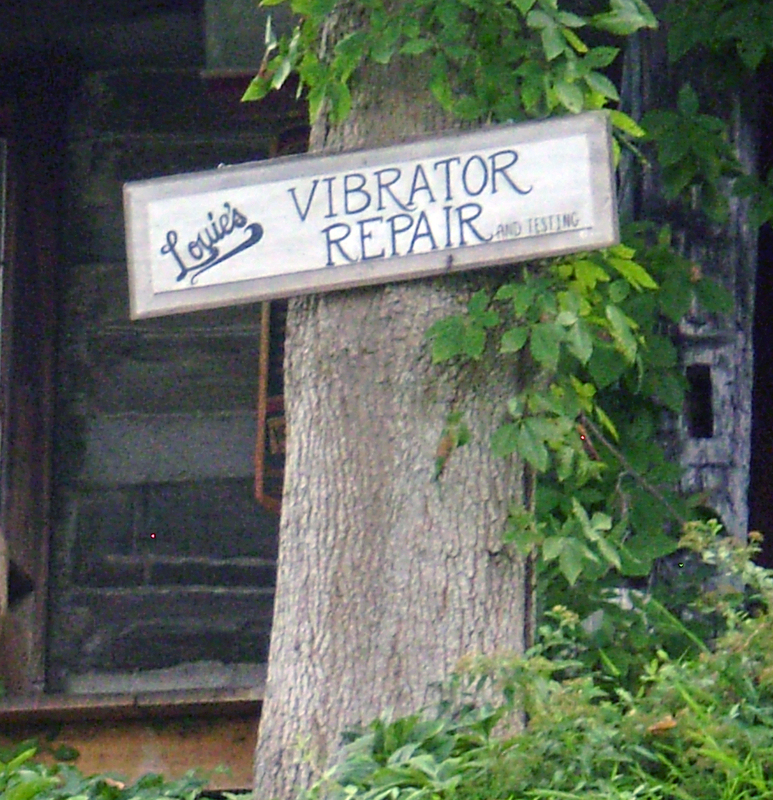 Not that I need a repair person, ahem. For future reference, you know, in case a friend has a problem. Cough, cough. I was on a crazy road trip with my daughter and we decided to go to this little craft fair in a small town in Kentucky. As we wandered through the town I spotted this sign and just couldn’t resist the photo. I didn’t, however, have the nerve to go up and ask about his, um, work. Yup, I wouldn’t have been able to resist sharing that too! Thanks for the laugh. What a fun laugh. Thanks for sharing. LOL, love it, love it!!! What a cool thing to share. Thanks for the chuckle. It’s brightened a long day!